Canadians are not known for hubris, but one thing most Canadians will show some pride about is the belief that Canada is the good guy of the world; an identity that is exhibited in everything from peacekeeping and the Universal Declaration of Human Rights to politeness. However, Canada has an ugly not-too-distant past in the treatment of First Nations Peoples that is not commonly acknowledged. 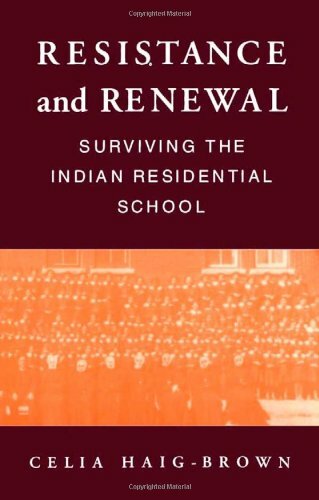 In her book Resistance and Renewal, Celia Haig-Brown compiles first-hand accounts from members of the Shuswap Nation of the west coast, who were forced to attend the Kamloops Indian Residential School. As children, these individuals were taken from their family homes to a giant brick institution operated by nuns and missionaries, where they were subject to all manner of abuse, and punished if they spoke their own language. 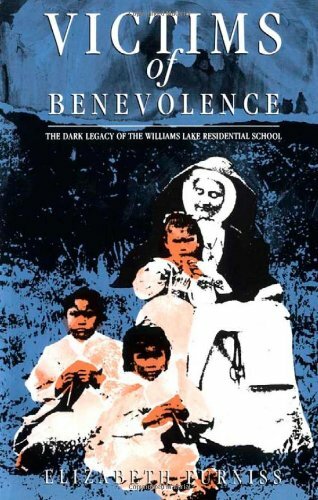 The mission of these schools was to integrate Native children into white society, or in other words, cultural genocide. Resistance and Renewal is a cultural and historical study, but Haig-Brown's intentions for the book are to reach beyond the academic world. There is "richness and insight" in the stories her informants tell, and she seeks to reveal to a wide audience the skeletons in Canada's closet. The stories of her informants are organized by common themes and experiences, and lay out a clear portrait of suffering and subversion, the infliction and consequences of deep wounds. Her analysis of the school system elaborates how these injustices originated in the racist notions of Canadian government policy makers who referred to their work as "aggressive civilization." For the non-Native audience, Haig-Brown gives faces and lives to a particular segment of First Nations people, and attempts to show something of the origins of the social problems those people face today. White Canadian society can easily ignore this tiny percentage of our nation's population, but in ignoring the history of Canada's treatment of indigenous people our national identity as the good guys of human rights becomes a lie. It is important for all Canadians to bring these issues into their national historical knowledge, and to recognize that they are not in the past, but in contemporary society. The last residential school was only closed in the nineties, and the children of the system are now adults and leaders of their communities. Since its first publication in 1988, Resistance and Renewal has found a place in the popular realm. 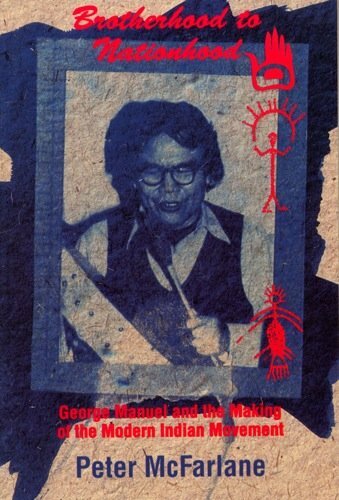 Non-Native Canadian readers continue to be educated about the state of the third world within our borders, and Native readers have found their own experiences reflected in its pages, leading to the healing of old wounds suffered by individuals and communities and to the continued fight with the Canadian government for apology and recompense. 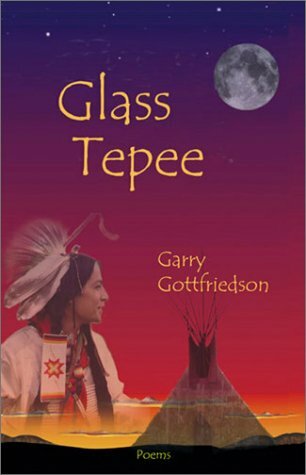 A passionate and provocative collection of poetry, Glass Tepee finds its roots in the experiences and traditions of Canada's first peoples. Some pieces draw on the landscape, philosophy and culture of the Secwepemc (Shuswap) territory and original inhabitants, while others comment on Aboriginal reserve politics and the complicated realities experienced by Natives in urban centres. What does the media coverage of a crisis situation reveal about the nature of dominant-minority relations locally, regionally, and nationally?Sandra Lambertus asks this question of the media coverage of the largest RCMP operation in Canadian history ? the 1995 Gustafsen Lake Native Indian standoff. 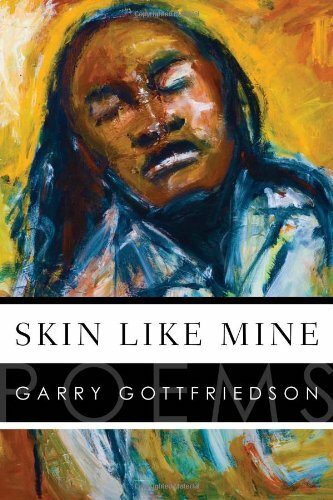 Drawing from extensive newspaper, television, and radio news products, legal and law enforcement documents, ethnographic interviews with 26 journalists, as well as RCMP, and Native leaders, Lambertus examines the construction and national dissemination of vilifying stereotyped portrayals of Native people. The ethnographic component pushes the standard of media analysis, bringing to light previously unconsidered aspects of media representations of minorities: media and law enforcement processes, frameworks of the news makers, face presentation strategies, information control, and exchange relations in news-gathering. The investigation shows how the values and perspectives of local communities, media, and law enforcement became overshadowed by 'outsiders' during the course of the event and the serious effects of the media coverage on specific audiences and ultimately, Canadian society. The study culminates with an assessment of the structural elements that contributed to the damaging media portrayals: media bias, competition, cooperation, empowerment, and cultural misperceptions. Wartime Images, Peacetime Wounds opens new avenues for studies of minorities in the news and for the study of news media in general.